These are just too cute! When I see flannel, two things come to mind: autumn, and lumberjacks. Mostly autumn though. 😉 I love the rugged simplicity of the coasters, and they are actually very easy to make! I’d love to make some in both black&white and red&black. I think they would look pretty good under a mug filled with pumpkin spiced coffee. I’ll admit, I gasped when I saw this DIY. It is incredibly beautiful, and captures the feel of fall perfectly. What’s really cool is that each bowl you make will be different, depending on the color and placement of your leaves. A unique creation, every time! No autumn-decorated house is complete without a pumpkin! I love this whimsical coral and gold color scheme; it adds a touch of elegance and class. Don’t get me wrong, I do love a good garishly orange pumpkin, but this is just gorgeous. This one is not a DIY, like the others; however, you could replicate if you don’t want to spend $40 on the set. I think this is a beautifully rustic set that would look gorgeous in any home. I would love something like this for my windowsill! I love the elegance of these acorns; they would look lovely in a bowl on a coffee table or nightstand. Let’s just hope squirrels don’t sneak into your house and add these to their acorn stash! What do you think of these autumn decorations? Do you decorate your house in the fall? P.S. Follow my Fall Decor Board on Pinterest! Everything is so cute, but the leaf bowl is probably my favorite. So gorgeous. 😍 I really like the leaf Mason jars too. 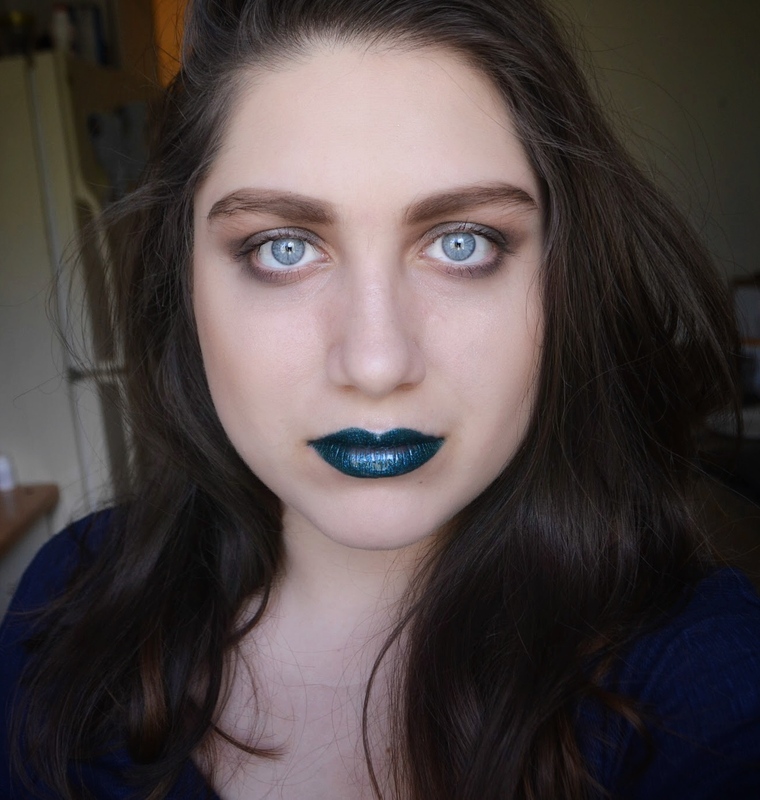 Halloween is my favorite holiday, so I just looove everything Halloween and Fall. 😍❤ Thanks for sharing! 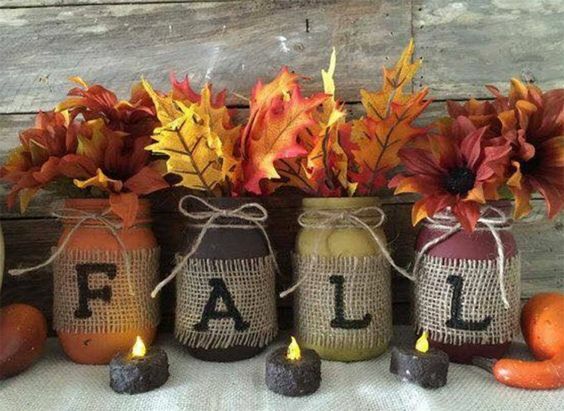 I love the colored mason jars and the painted pumpkins! Very cute ideas for fall decoration!! love the pumpkins, mason jars and the acorns the gold adds such a pretty touch ! These are all so pretty! 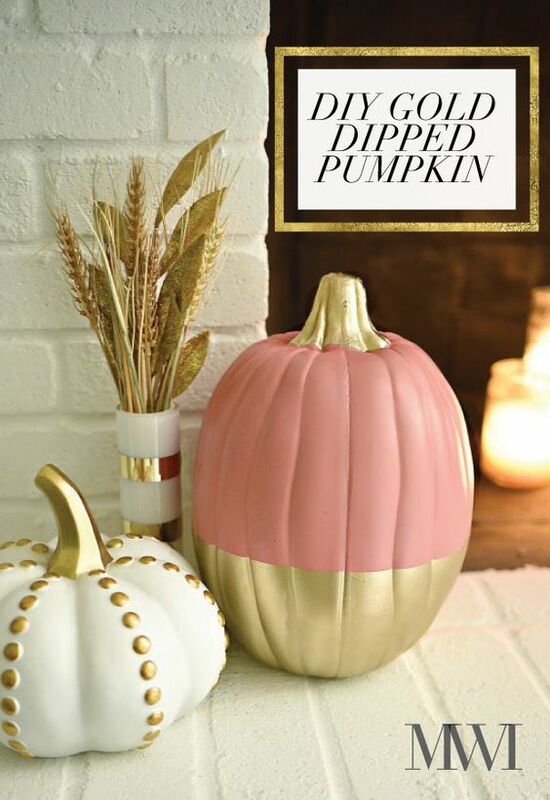 I especially love the gold dipped pumpkins. I think adding glitter would make it even more pretty! I may have to try it out. I am definitely making those buffalo check coasters – so cute! The leaf bowl is such a fantastic idea!